I am highly sceptical when it comes to a faith solely based on feelings, and I think therein lies the danger of charismatism. For my personal spiritual life the best guidance in this matter has come from the writings of St. John of the Cross. He was both a high-level mystic and a very pragmatic and rational thinker. The charismatics have a strong point to make though: Acts of the Apostles is not describing things that just worked in the past. Even today, if you proclaim the gospel and pray in community, this will be accompanied by signs and miracles, by prophetic words and healings. You don't have to try to force it and focus on this things, God will give them freely along the way. But if people have conversions because of certain "experiences" and as a second step never get rooted in solid, biblical and tradition founded faith, they won't stay faithful. Thanks, that sounds very interesting to me. People speaking in tongues makes me very uncomfortable but I'm not sure enough about the whole deal to say they are wrong. Biblically, there are guidelines put forth by Paul on the whole thing. 1) There has to be an interpreter; if not, no bueno; 2) do not disrupt the Scripture readings. Also, I have issues with viewing tongue speaking being an "angelic" language, seeing as Acts seems to indicate it is a gift of speaking in tongues of earth to preach the gospel. I am not a Charismatic, but I have many friends who are -- both Assembly of God and Catholic Charismatic Renewal. I respect and admire the charismatic spirituality, although I am not called to this. The gifts of the Holy Spirit are real. Charismatic spirituality has been part of the Church, from the very beginning and throughout the centuries. A guy can participate in prayer and worship with Pentecostals, but the Holy Spirit gives the gifts. The gifts are given by the Spirit to build and encourage the Church, not for the benefit of the individual receiving the gift. However, the world appears to be starved for the Gifts, and the Holy Spirit is generous toward Christians who are open to receiving them. Pentecostals are very fond of their Praise and Worship music.... but other than that, they aren't guilty of excessive emotionalism. Not any more than any other spirituality. Not in my experience. I have two friends who are Assembly of God pastors. They are as concerned about emotionalism, too. Emotionalism is the "shallow ground" of the parable -- those people tend to bloom fast and fade as quickly. Charismatic Catholics tend to be very quiet about their gifts. They don't flaunt them. They won't pray in tongues in public. They especially refrain from praying in tongues during Mass -- because Paul told us not to. They gather in small prayer groups for that. My parish priest is Charismatic, and he rarely talks about it. Mother Angelica (founder of EWTN) was Charismatic.... she experienced a time when the Holy Spirit swept through her monastery; everyone received gifts. No one dared to accuse Mother Angelica of emotionalism! A common thread that runs through those leaders -- and also among my closest Pentecostal/Charismatic friends -- is an enthusiasm for obedience. They work and pray hard to discern what God is calling them to do, and then do it. And they work hard to avoid sin, obeying the commandments, like every saint should. Anyhow, there doesn't need to be an excess of emotionalism among communities Charismatic Christians. If you find it to be problem -- find a different community. Don't abandon the spirituality. What if you knew the prayer being prayed in an other than English language? Now we learn it in Greek. We could pray together in tongues with understanding. The phrase 'a sinner' at the end in Greek is hamartōlós. This word conveys a better English idea of The Sinner. the very worst one. The English syntax is awkward. Anyway. What about a situation kind of like that? I’ve tried to answer twice. Please allow me to respectfully ask for time and permission to dwell with it. Just quietly move away and move on. I think it's important to look at the first account of the apostles at Pentecost. The spoke not in jibberish, but in actual languages that could be understood by various foreigners in the crowd. The Holy Spirit used tongues so everyone could understand. What I know of the modern-day displays is that they are just made up nonsense that serves no purpose other than to draw attention to the speaker. If neither the speaker or the listeners understand what's said, then what other conclusion can be drawn? EDIT - I suppose I feel the same about snake handling, prancing around, or simply waving ones arms in the air. If it's done during worship, and it moves ones focus from God to the wackadoodle who's acting out, then I see it as a bad thing, or at least an unhelpful thing. When I see such acts I'm often reminded that I'm the one who allows my worship to be distracted, not the wackadoodle, but still I'd prefer not to have to witness that silliness in the first place. I do "hold my baby" at the benediction. Sometimes it morphs into "carry the TV" if it's a long one. In a wackadoodle prayer meeting where people are used to the sight of wackadoodles, I tend to switch between "carry the tv" and "school room"
There is no denying that charismatics have a zeal. 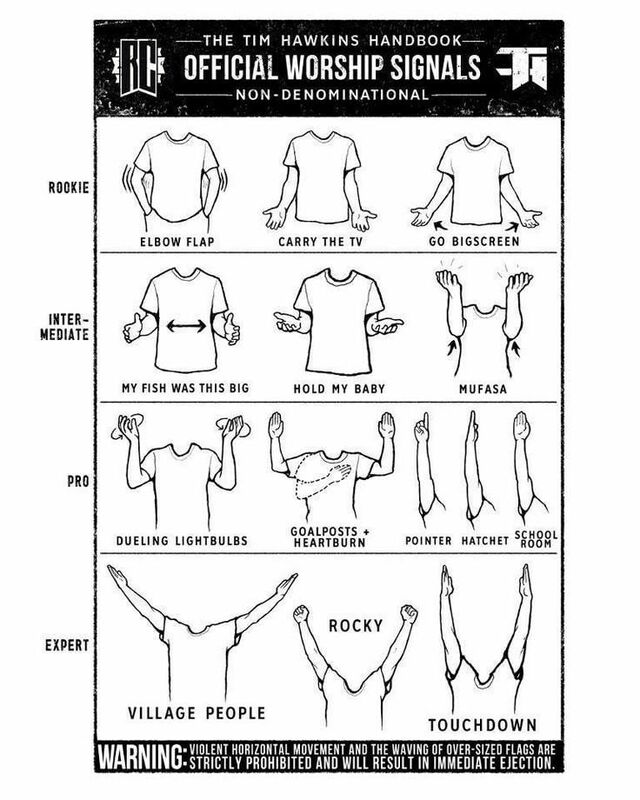 One I must admit I do not outwardly display during worship as they do. This makes someone like myself ask if I am as filled with the Spirit as they are? Am I not seeing and experiencing supernatural things because I lack faith? As the Tower of Babel event confused languages, Pentecost unraveled them in order for the Gospel to be spoken to the world.